The mega travel portal Trip Advisor lists more than 1400 things to do in Beijing. We have picked a few of the most popular tours and listed them below. Click the link for each tourist activity for full details. This tour is part two of the Historic Beijing Tour and visits the Lama Temple, White Peacock Silk Carpet Factory, Panda Garden at Beijing Zoo and the Summer Palace. As for the Historic Beijing I tour, hotel pick up and drop off, lunch, English speaking guide and all admission fees are included, so book both tours for a great 2 days touring Beijing! Experience a night out in Beijing to experience the bustling nightlife of the city, enjoy world famous Peking Duck and top it all off with a Chinese acrobatic display. Discover the culinary secrets in carving the duck and eating it 'Beijing style'. Dinner is followed by exotic entertainment by a Chinese acrobat troupe. Included in your evening out is hotel pick-up and drop-off, English speaking guide, dinner and entertainment. Take an historical tour of Beijing through the narrow streets, known as Hutong on a traditional rickshaw. See the gardens at Prince Gong's Mansion, Beijing's largest and the best preserved royal mansion of the Qing Dynasty. See the old Beijing that still exists for millions of people today. 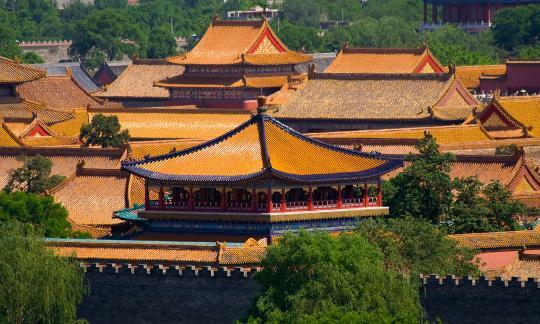 Experience China's most impressive imperial sites on this full day Beijing sightseeing tour. Begin your tour with a must do visit of the Forbidden City and Tiananmen Square before heading to the outskirts of Beijing to visit the Temple of Heaven, Pearl Market and the Summer Palace. Included in your tour is an English speaking guide, all admission fees, lunch and pick up and drop off at your hotel in Beijing. Many more Beijing China tours are available. You can also apply online to get your China travel visa quickly.